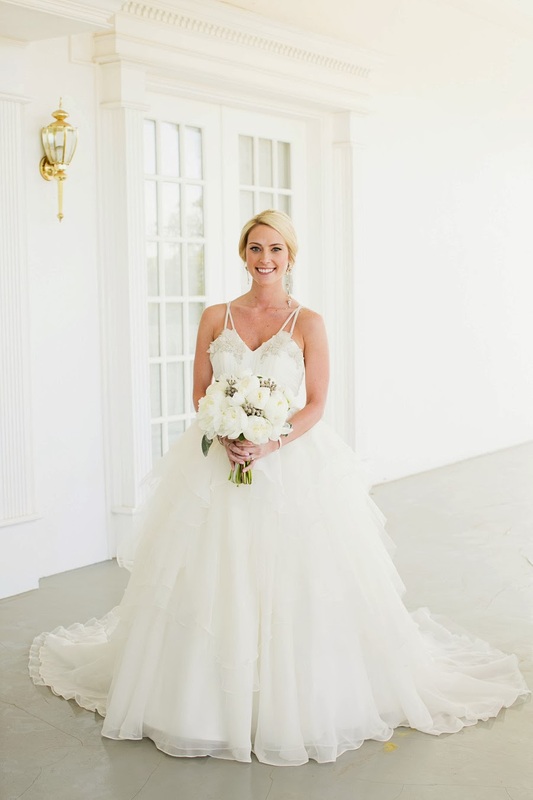 We were just giddy to see a bridal gown client and her lovely wedding featured on Style Me Pretty! Beautiful Stardust bride Bethany just glowed in her gorgeous Hayley Paige “Hattie” bridal gown. 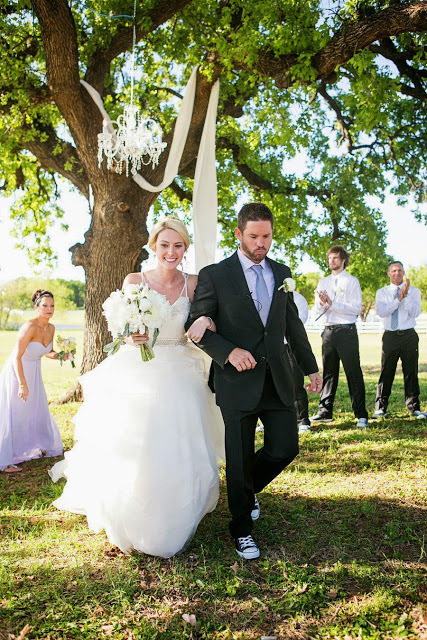 The gown’s romantic and feminine style was perfectly suited to the bride’s outdoor celebration! Visit SMP to enjoy her full wedding. Dallas brides, are you looking for a wedding gown that is whimsical, romantic and unique? 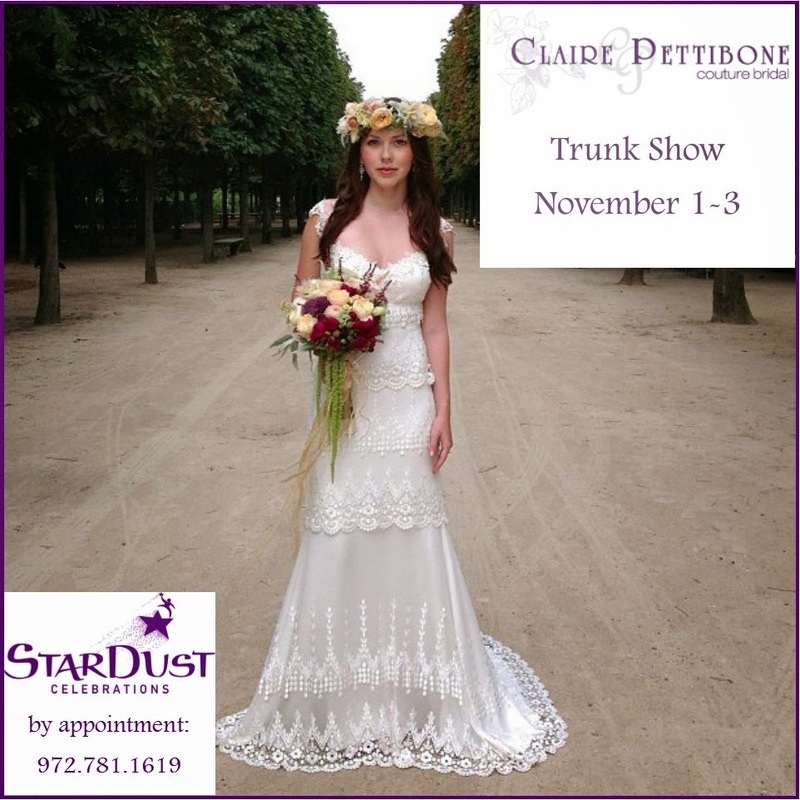 You must call now to schedule your appointment for our Claire Pettibone Trunk Show at Stardust Bridal Salon this weekend! 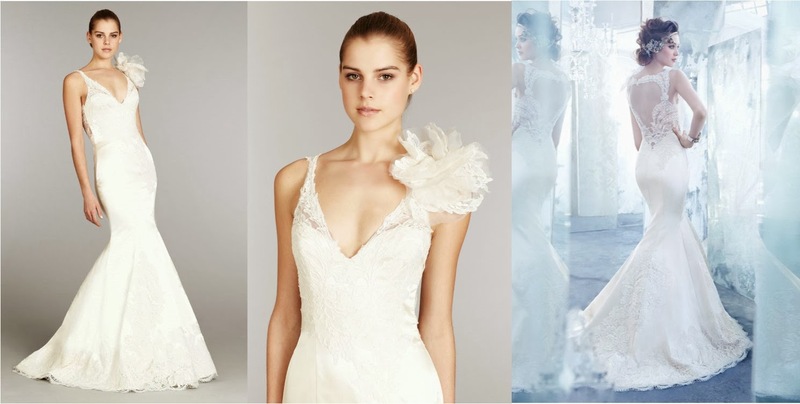 These stunning gowns are enchanting and feature beautiful details sure to catch your guests’ – and your groom’s – eye! Claire Pettibone began her love affair with bridal gowns at the age of four, after being mesmerized by a bride walking down the aisle of the historical St. Patrick’s Cathedral in New York valium City. Pettibone is known for her unique, vintage-inspired gowns finished with a modern flair. Pettibone’s gorgeous gowns feature signatures such as delicate details, intricate embellishments and their ethereal, feminine feel. The timeless gowns are made of silk, lace, tulle and more and give the bride a feeling of utter glamour and grace on her most special day. Call the Bridal Salon at Stardust Celebrations at 972.781.1619 to secure your time during this very special shopping event. 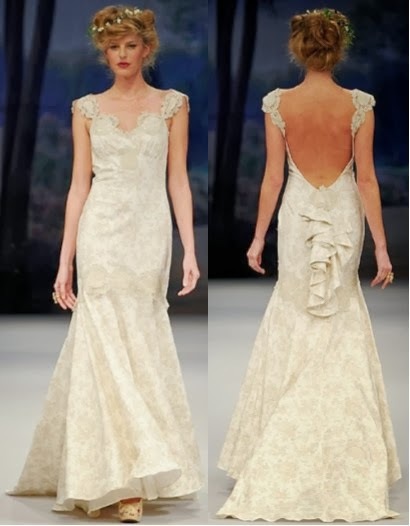 Q: I really love the dramatic look of a low-back gown and am leaning toward one for my wedding day. Are there any special considerations I need to think about? A: In a word, yes! 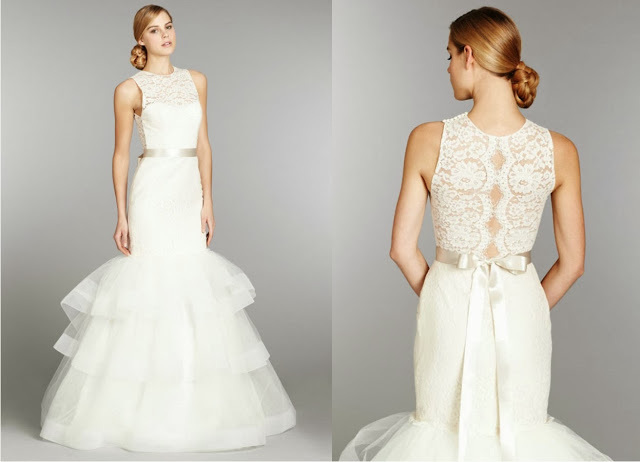 Low backs are stunning – simply beautiful and yes, very dramatic. BUT. 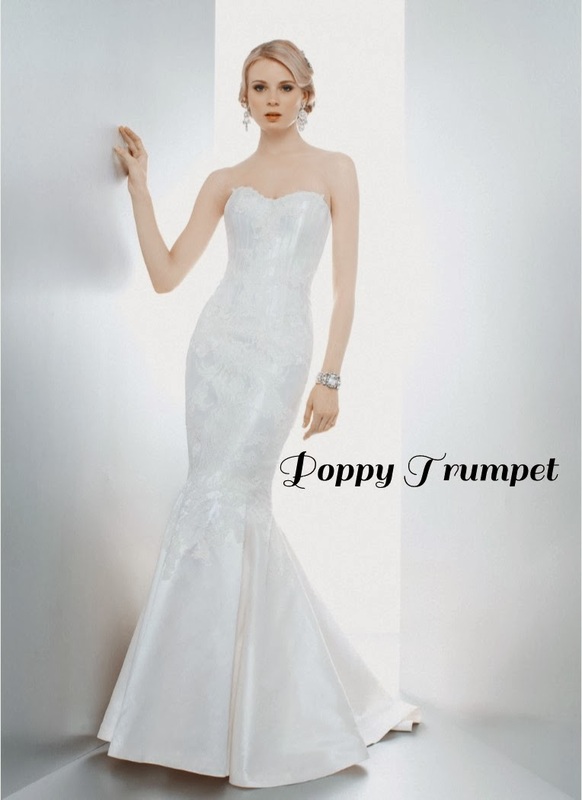 If you are also interested in a very fitted waist, many low-back gown styles do not work very well. Because of the lack of material all the way around the bodice, there just isn’t enough there to get a super-tight fit. Here are a few photos illustrating what we mean. But just a plunging back will just not give brides a super-snug fit. One other word to the wise: be cautious of a strapless gown with an extremely low back – you are risking a wardrobe malfunction! That’s probably not the memory you are going for on your wedding day! You might have heard a little something about a stir that one gorgeous blond actress caused by posting a photo of herself in a wedding gown just weeks after becoming engaged. We are, of course, referring to the lovely Kaley Cuoco, aka hottie neighbor Penny on The Big Bang Theory, and her wedding gown-clad Instagram photo cheekily joking about getting married. 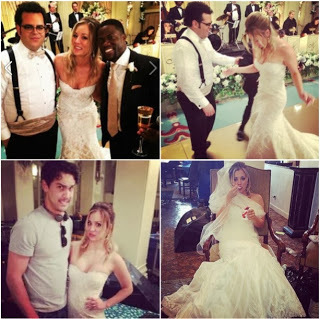 The photo was actually taken on the set of The Wedding Ringer, which Cuoco is currently filming. The fun story and photo has circulated all over the entertainment blogosphere but was missing one vital bit of info – details on the gown! 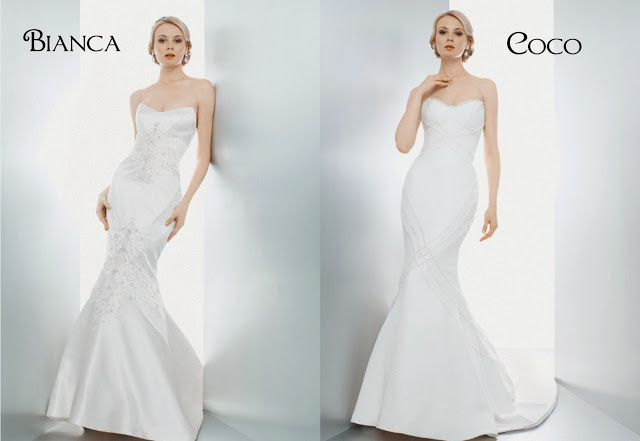 Well, we at Stardust Celebrations are thrilled to share with you that the gown is none other than Sofia, by one of our incredibly talented designers, Matthew Christopher! 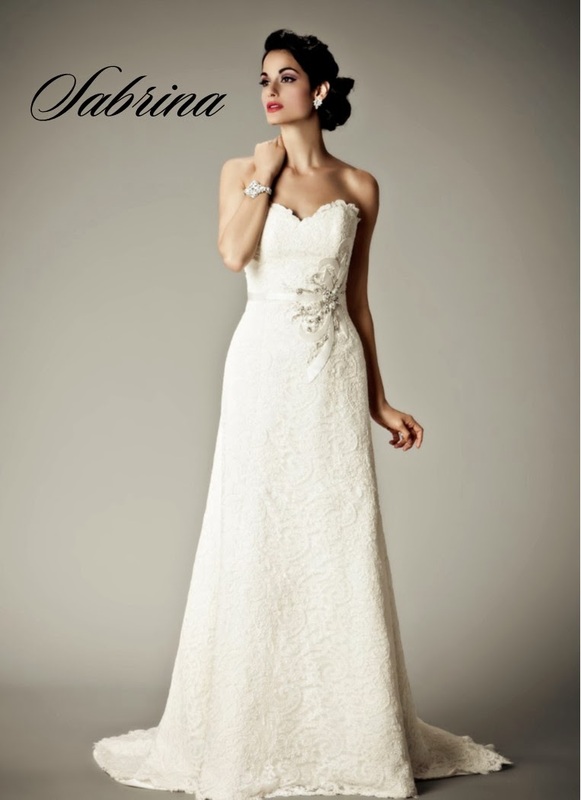 Our North Dallas area bridal salon is the exclusive salon for Matthew Christopher bridal gowns in North Texas. 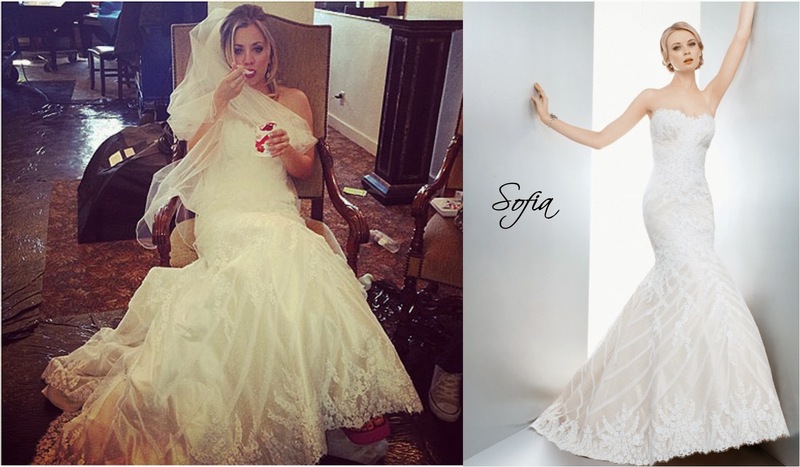 We have learned that in the movie, Cuoco will also don a few additional Matthew Christopher bridal gowns: Poppy Trumpet, Coco and Sabrina. 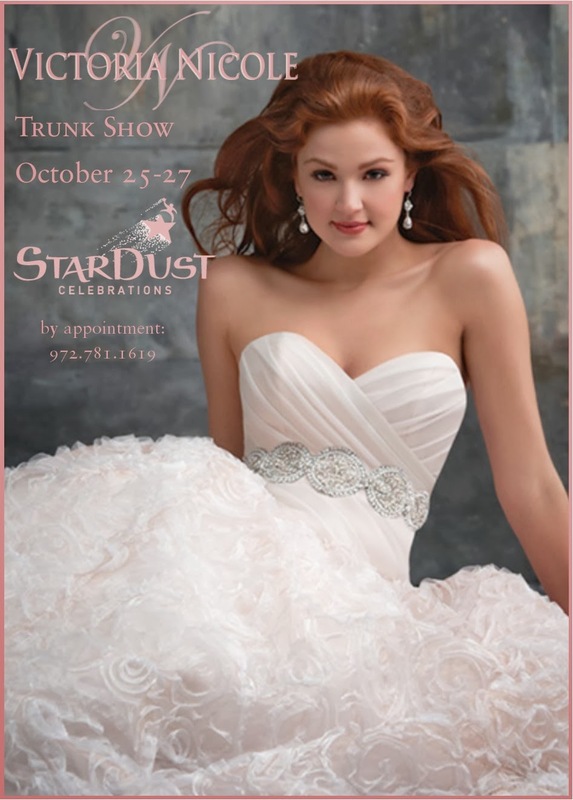 We are delighted to share with you that Stardust Bridal Salon carries these gowns! Stardust carries the identical version of Sofia and Poppy Trumpet, while we carry the A-line version of Sabrina (Cuoco will wear the trumpet version of Sabrina in the movie) and the more heavily beaded version of Coco, called Bianca. Another detail to note is that the veil and jewelry the stunning Cuoco is wearing is from Haute Bride, by designer Lindsie Jones, another collection that we are pleased to offer you at Stardust! 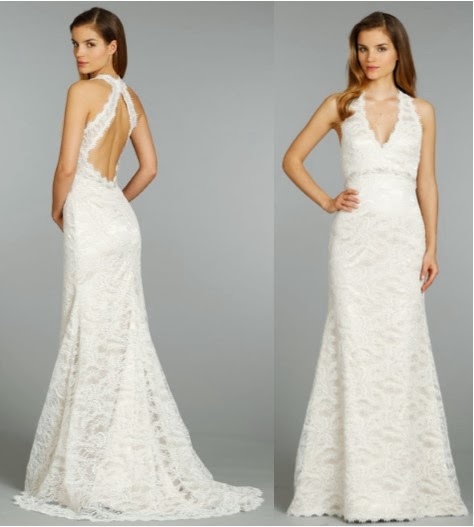 Call us today at 972.781.1619 to schedule a time to check out our glorious collection of Matthew Christopher wedding gowns, or come by our West Plano salon to preview our Haute Bride jewelry! Award-winning design genius Victoria McMillan launched the latest venture in her 20-year-plus bridal design career in April 2010: Victoria Nicole. StarDust is the only salon in North Texas to have the privilege of carrying the stunning collection. Call Stardust Bridal Salon today at 972.781.1619 to schedule your appointment with these stunning gowns. 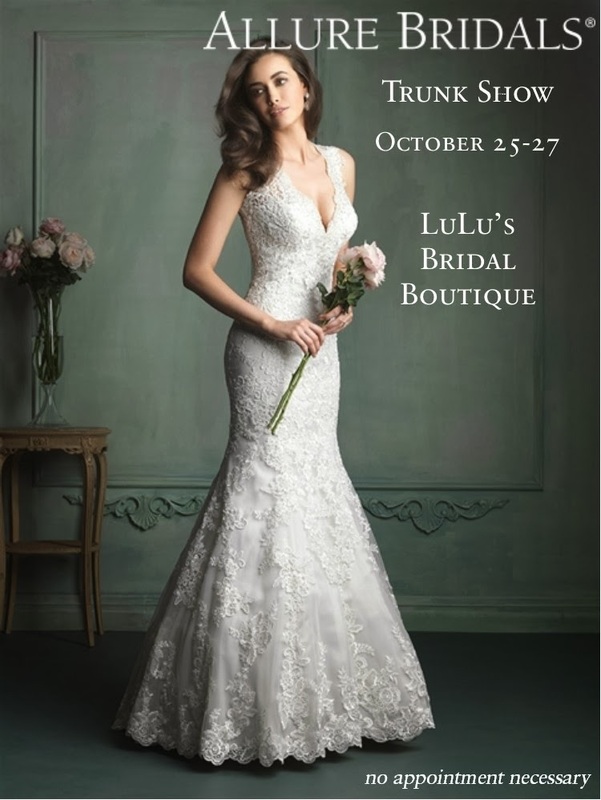 Join us at LuLu’s Bridal Boutique this weekend for a trunk show featuring these latest Allure fashions. No appointment is required.